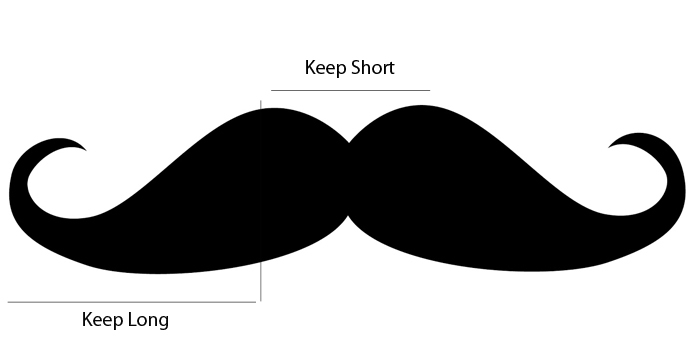 There are many mustache shapes, styles and sizes these days. This trimming tutorial will give you the basics to trim and shape the mustache you want. Firstly know what style mustache you want. Then once you have figured that out we can begin. Dampen your mustache with water and comb through the hair with the fine-toothed comb. Look for long hairs that are sticking up or that are too long. Trim those hairs! 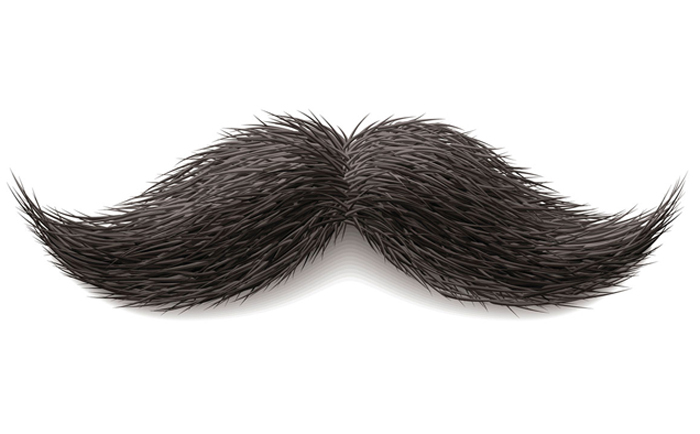 Start at the middle of your mustache and work your way outwards. This helps maintain the length and bushiness of your mustache. After that move to trimming above the top lip. keep the middle of the mustache short, just above the pink of the top lip so you are able to eat and drink without it getting in the way or smelling. Secondly, trim the top of the mustache for shape and definition. Some mustaches are uneven in this area below the nose and that’s okay, all you need to do is use a mustache razor. This is a quick and simple task. Once the trimming is taken care of and the areas are under control you can use the mustache wax. Apply it to your index finger, middle finger and thumb and rub them together so the wax warms up a little between the fingers. Then slowly apply the wax on your mustache. When applying the wax to the mustache make sure you squeeze your mustache to really get the wax in the hairs. Towards the ends twist the hair with your fingers to get a curl at the end. This method will keep the wax rooted into the mustache. Do this a couple times until you feel satisfied with the style and curl.